Going with the plan for a sung Mass on the third Sunday of the month, our next Sung Mass is on the 21st of October, the 21st Sunday after Pentecost. [caption id=”attachment_671” align=”alignleft” width=”200”] Based on Missal of Eberhard von Greiffenklau, Priest performing Mass before Two Donors, Walters Manuscript W.174, fol. 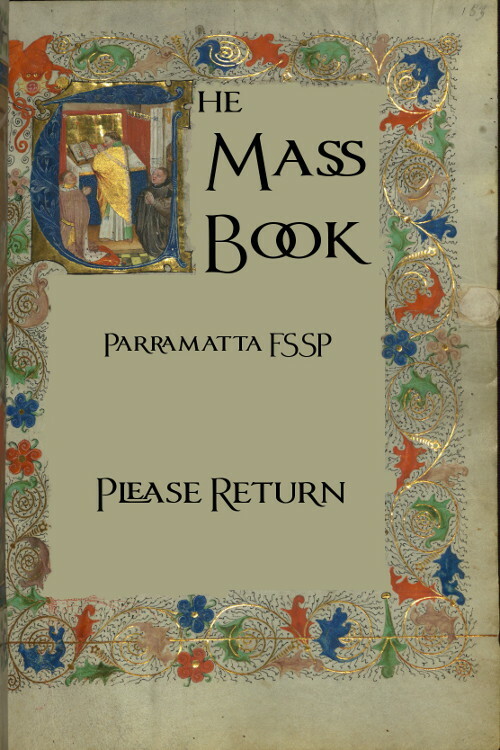 153r[/caption] Over the last Christmas holidays I made about 40 copies of the Mass Book. They weren’t too bad for cheap go at making hard cover books. Now the pages are falling out here and there and people have suggested we have a working bee to fix them up. We could carefully glue the pages back in with PVA glue, but there may be a better way… getting a new edition printed in paperback! Le Barroux Chant The Monks of Norcia Catching up on Fr Z posts I came across this Just Too Cool: Options for Divine Office sung in Gregorian chant – ONLINE. 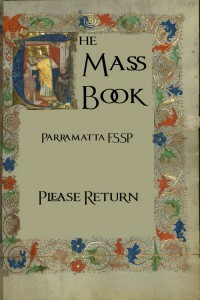 Next sung Mass at Lawson is 5pm Sunday 9th September 2012. Fr Eugene’s schedule means we have space for only two practices: 4pm Sunday 19th August and 9th September.